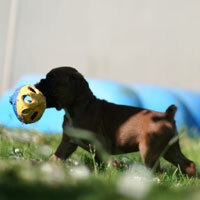 Photos at 12 weeks of the pups we had at home. 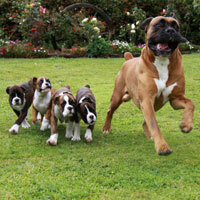 Candid photos at a variety of ages. 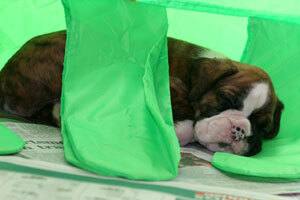 26th November 2009 - Candids at five weeks old. 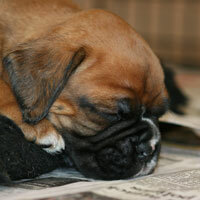 29th October 2009 - Boys at thirteen days old. 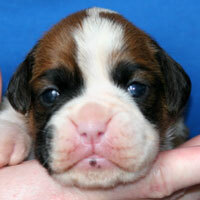 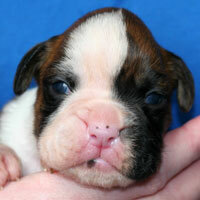 The headshots of the puppies are boys, then girls, in birth order. 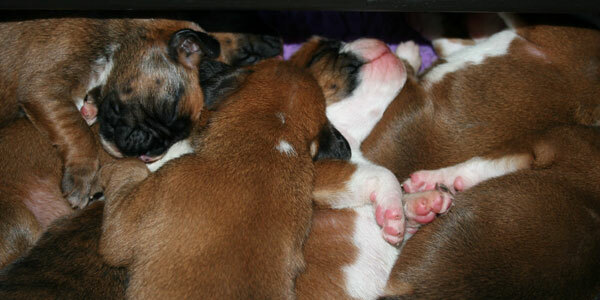 29th October 2009 - Girls at thirteen days old. 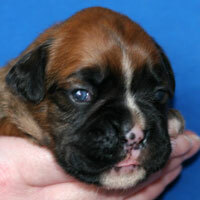 29th October 2009 - Candids at thirteen days old. 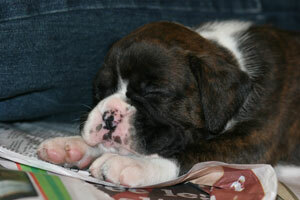 26th October 2009 - Napping at ten days old. 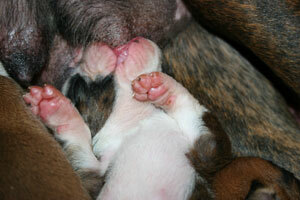 23nd October 2009 - At the milk bar seven days old. 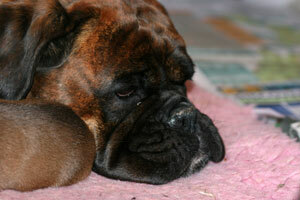 16th October 2009 - Sooty's new babies have arrived! 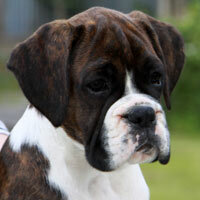 Due October 2009 - Ronin Life In The Faust Lane (Sooty) has just been bred and we are eagerly awaiting confirmation of her pregnancy. 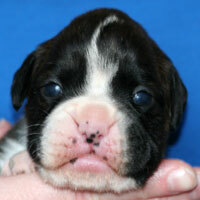 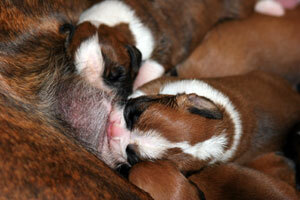 This litter is going to be super exciting and there may be red and brindle puppies. 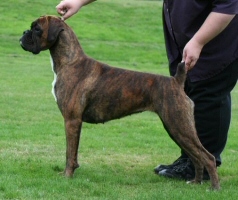 This litter is a repeat breeding of the highly successful Elvis X Sooty combination which has already produced a very consistent litter with one champion so far at just over 12 months of age. 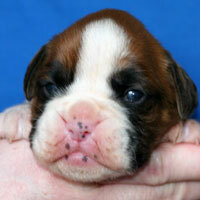 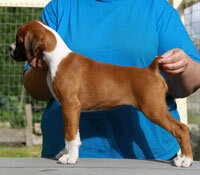 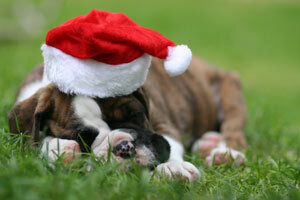 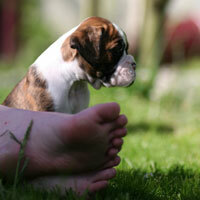 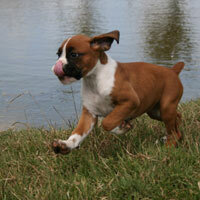 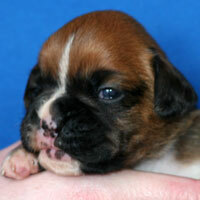 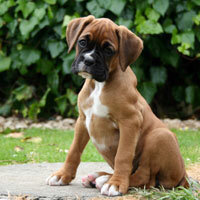 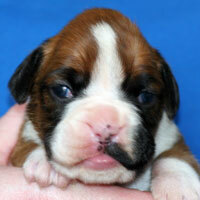 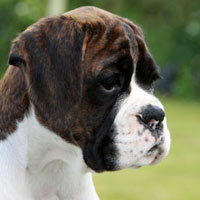 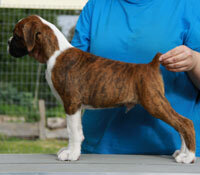 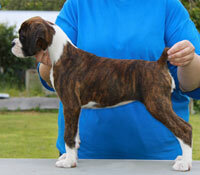 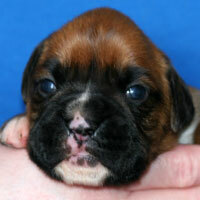 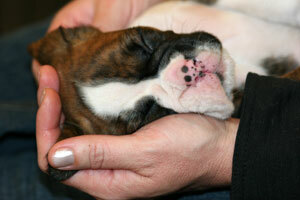 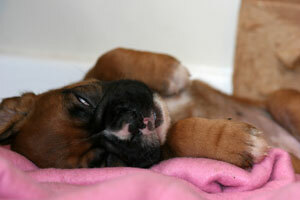 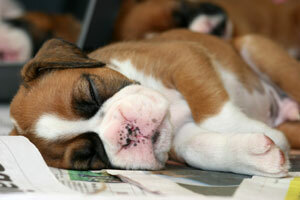 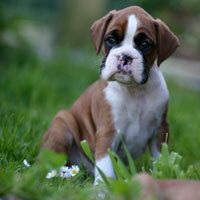 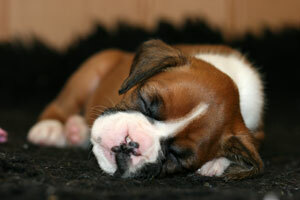 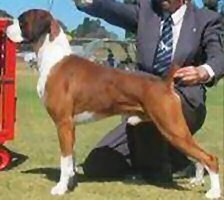 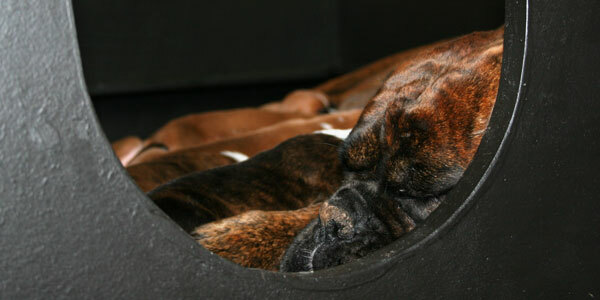 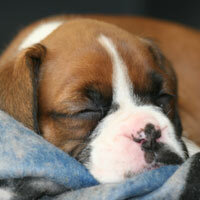 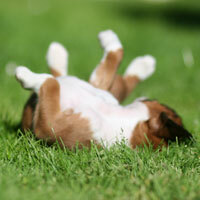 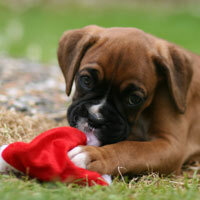 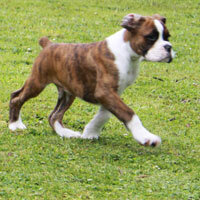 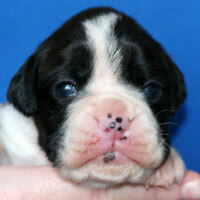 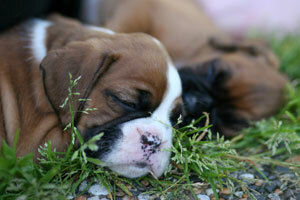 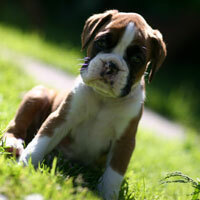 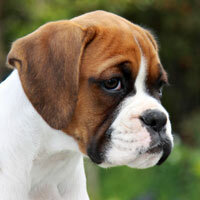 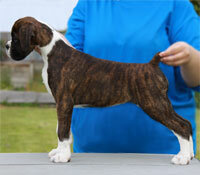 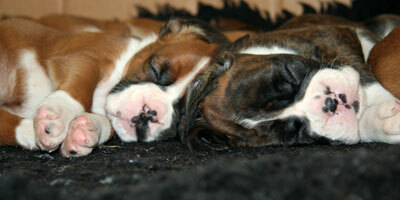 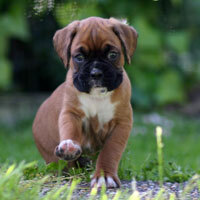 Find out about buying a Ronin Boxers puppy here.